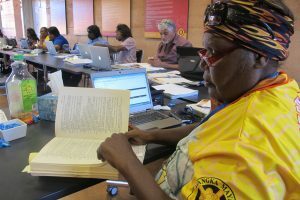 A Certificate III in Aboriginal Languages is now being offered by South Hedland-based language centre Wangka Maya. The course is designed to help maintain the languages spoken by Traditional Owners across Australia. The nationally accredited certificate is a week-long intensive course, and the first students represented seven different language groups from the Pilbara including Kariyarra, Yinhawangka, Banjima and Nyiyaparli. The units aim to teach students about the history, vitality and distribution of Aboriginal languages. Courses include identifying language needs in the community and workplace, raising awareness about Aboriginal languages and producing sounds in Aboriginal languages. For more information about the program, you can visit the Wangka Maya website here, and for specifics about the course you can visit the Resource Network for Linguistic Diversity. Filed under: Miss NAIDOC, NAIDOC, Nyiyaparli, Yamatji. On Saturday 24th May Noongar/Yamatji woman Ashlea Walley was announced as 2014 Miss NAIDOC Perth at the final ceremony held in the Perth Concert Hall. Ashlea joined nine other finalists from across the state including Yamatji woman Jaimee Coster and Noongar/Nyiyaparli woman Amy Groves in celebrating the completion of the Miss NAIDOC leadership and empowerment program. YMAC would like to congratulate Ashlea and all the Miss NAIDOC finalist on their achievement. The latest issue of YMAC News is now available for download. It is full of stories about some of the accomplishments in our regions over the last few months. Agreements have been made between the Ngarlawangga people and Montezuma Mining Company Ltd, and the Kurama and Marthudunera people and Iron Ore Holdings Ltd, that are both notable for different reasons. You can read about the Geraldton native title groups coming together to work towards an Alternative Settlement, and a meeting between Pilbara indigenous women and African women in mining. We have several new members of our Yamatji Regional Committee and the Board of Directors, and we profile one of them, Beverley Ladyman. 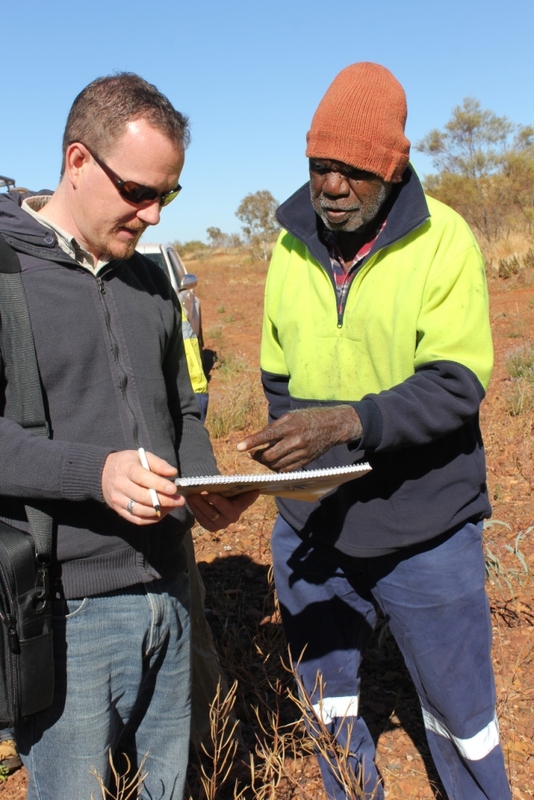 The Badimia people won a battle in the National Native Title Tribunal to help protect one of their most sacred sites, and the Nyiyaparli people have discovered a site that was occupied 41,000 year ago while out on a heritage survey for a mining company. Click here to dowload YMAC News issue 20. If you have any stories or photos you’d like to share with us, elders who you think we should profile, questions about native title, or any other letters to the editor, send them to editor@ymac.org.au. ﻿﻿﻿﻿﻿Nyiyaparli Traditional Owners from the Pilbara region of Western Australia, today announced the oldest occupation dates ever found in the region. Working with archaeologists from the heritage company Archae-aus, the Nyiyaparli Heritage Sub-Committee and Karlka Nyiyaparli Aboriginal Corporation have revealed that charcoals found while excavating a rock shelter are more than 41,000 years old, according to carbon-dating analysis. Nyiyaparli elder and Heritage Sub-Committee member David Stock said, “We feel proud that this evidence of our ancestors has been found and are happy it will be protected. This kind of work shows Australians that our heritage is very important and that it can be protected”. The shelter site would be protected by a buffer zone and that Nyiyaparli Traditional Owners have requested further research be carried out at the important site. YMAC News issue 19 is here! The latest issue of YMAC News is now available for download from our website. It includes a cover story on the visit the UN Special Rapporteur on the Rights of Indigenous Peoples made to Njamal country, a special feature on Geraldton Aboriginal community organisations, and a landmark agreement between the Nyiyaparli people and BHP Billiton. There is also a profile of Yamatji artist, poet and academic Charmaine Green, as well as a staff profile of Fiona Mackenzie, our Geraldton office manager. 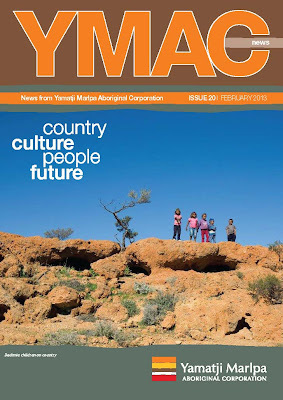 There is important information on YMAC’s heritage services, information about YMAC’s recent audit by the Office of the Registrar of Indigenous Corporations (ORIC), and of course lots of photos of people and country. Click here to download YMAC News from our website. The Nyiyaparli people of the Pilbara region of WA have announced that they have entered into a major mining agreement with BHP Billiton Iron Ore (BHPBIO). The agreement covers all of BHPBIO’s iron ore operations within the Nyiyaparli people’s native title claim and offers substantial heritage protection, financial benefits, and non-financial benefits to the Nyiyaparli people. Click here to download the full media release from our website. YMAC congratulates the Nyiyaparli people on the successful negotiations. 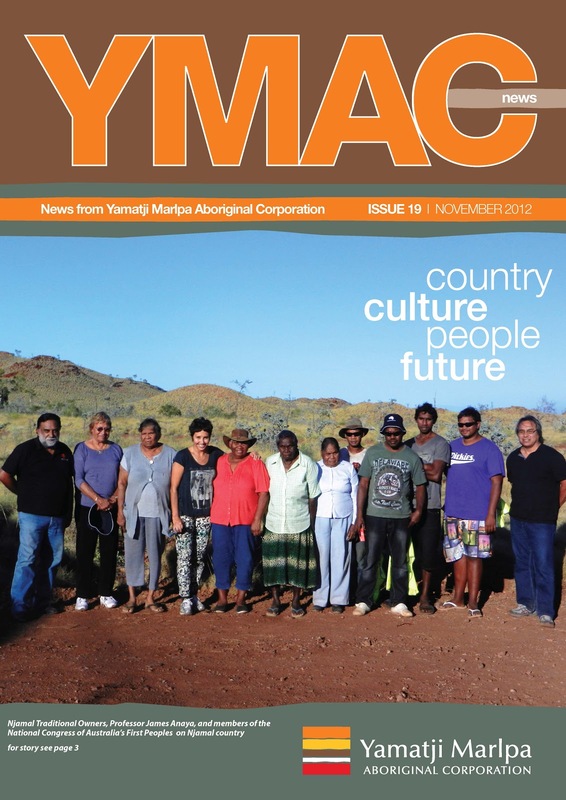 The latest issue of YMAC News is out today, filled with information about the great work being done by traditional owners and YMAC staff. Issue14 of our newsletter focuses on the land access deals struck between four native title groups and Rio Tinto Iron Ore, with sections on each group and what the agreements will mean for them. 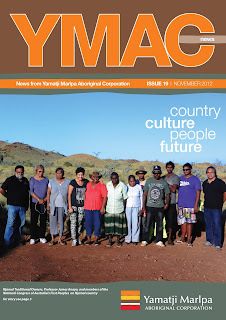 There are stories about our co-chair of the Board talking about carbon farming in Canberra, the realease of YMAC’s community guide, the substantial role played by YMAC at the annual National Native Title Conference, as well as profiles of some of our board members. We hope you enjoy the 14th issue of YMAC News.